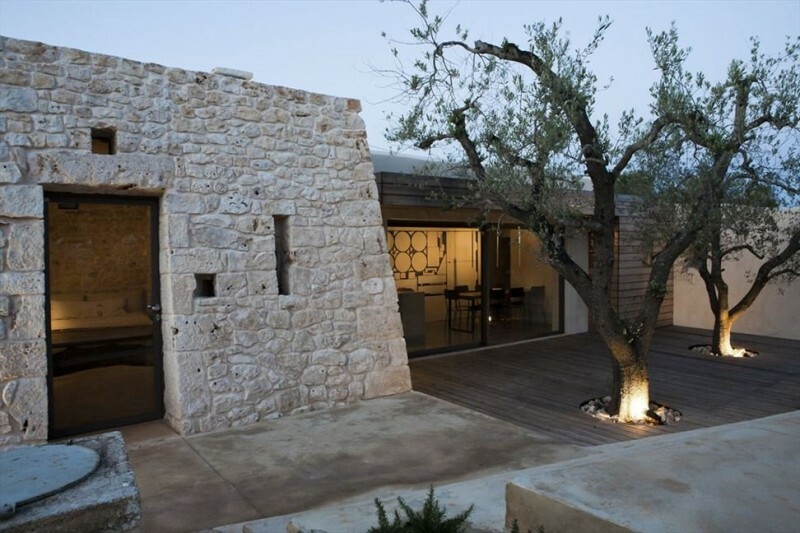 By Sophie - "Trullo" refers to a type of rural, stone hut that is characteristic of Ostuni, Italy. 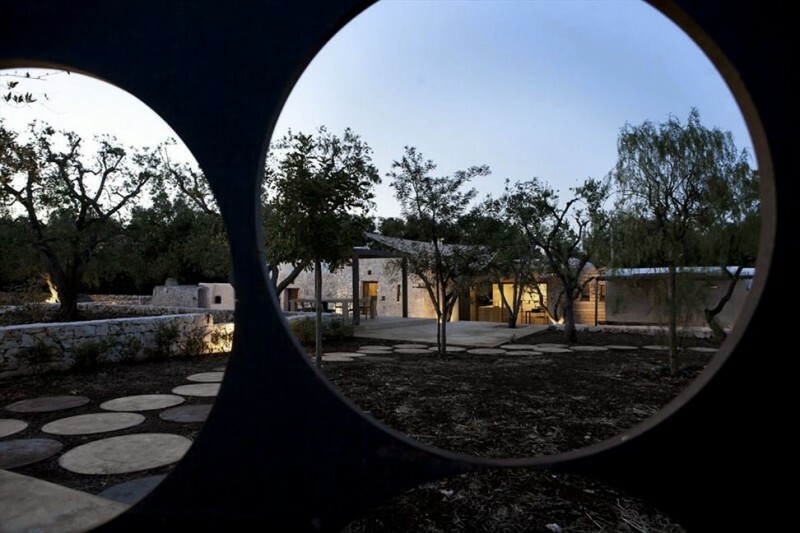 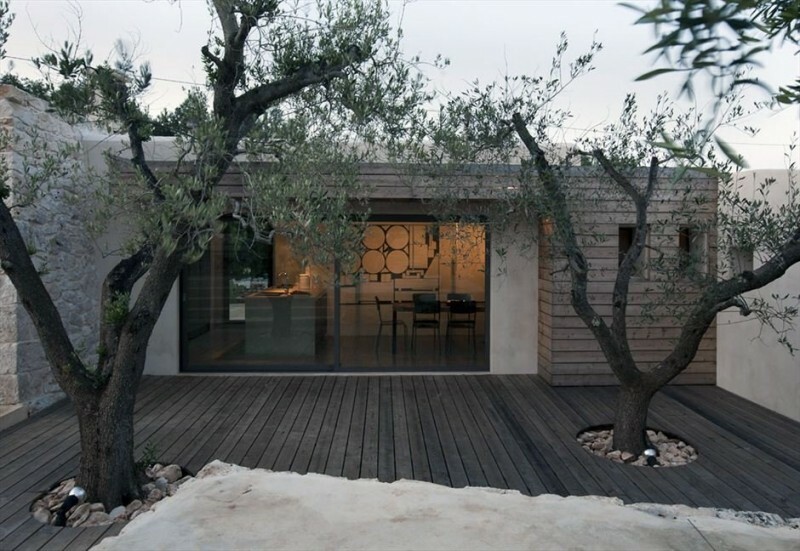 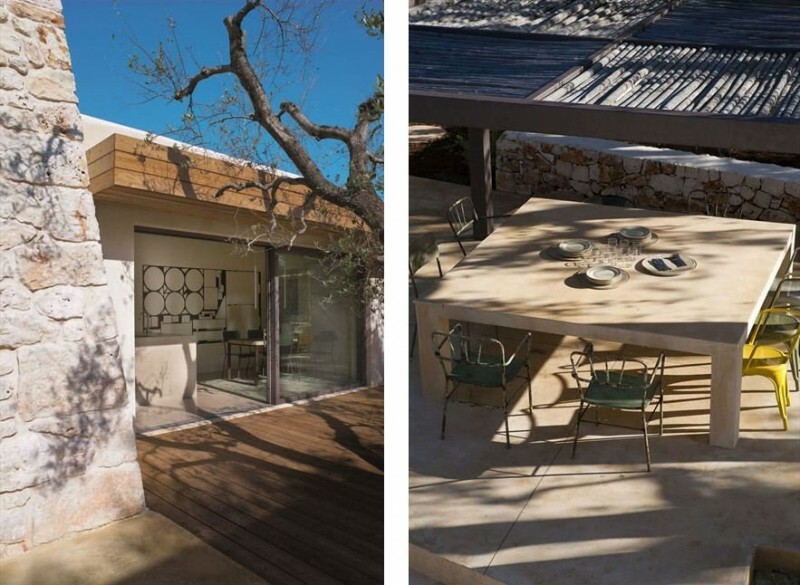 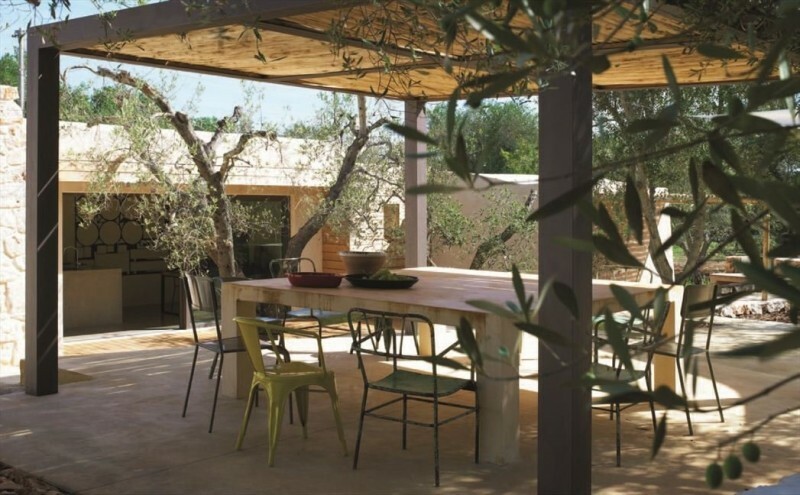 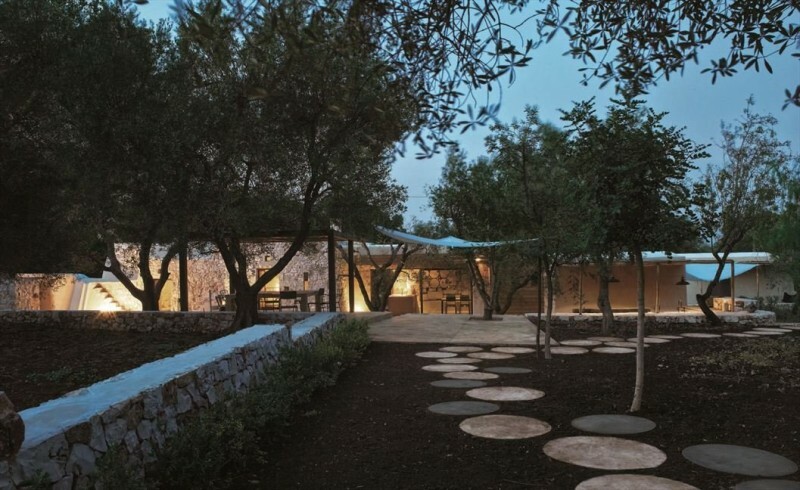 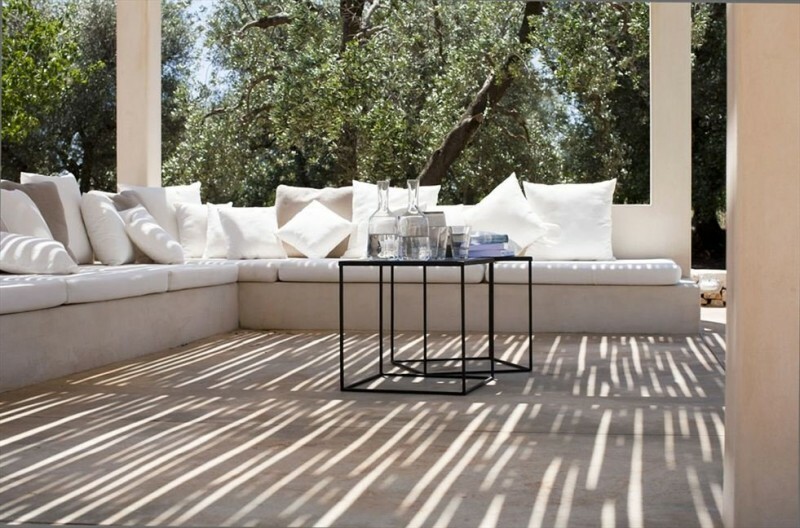 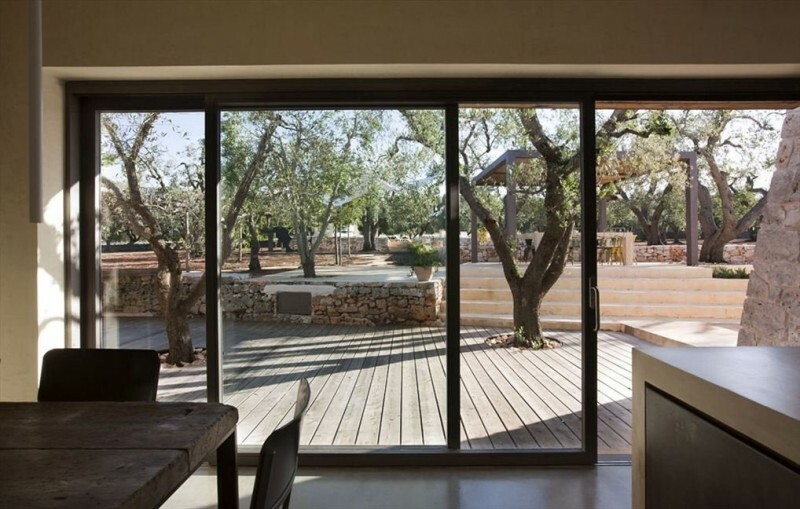 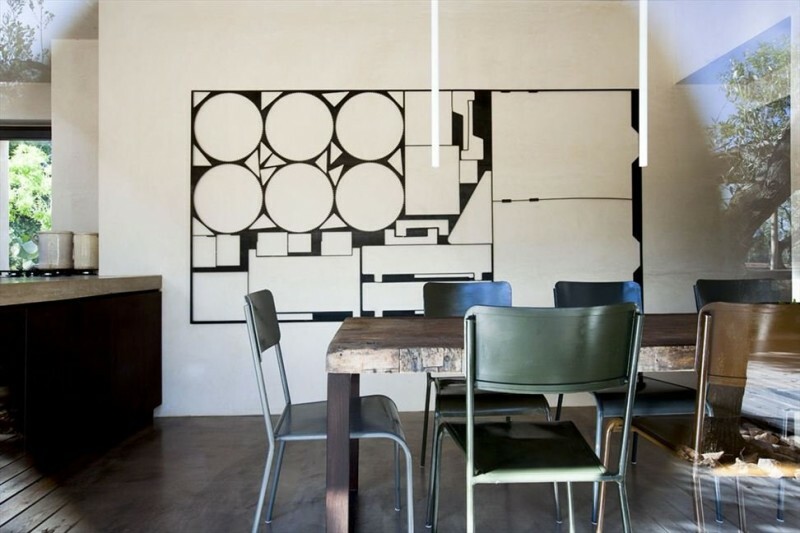 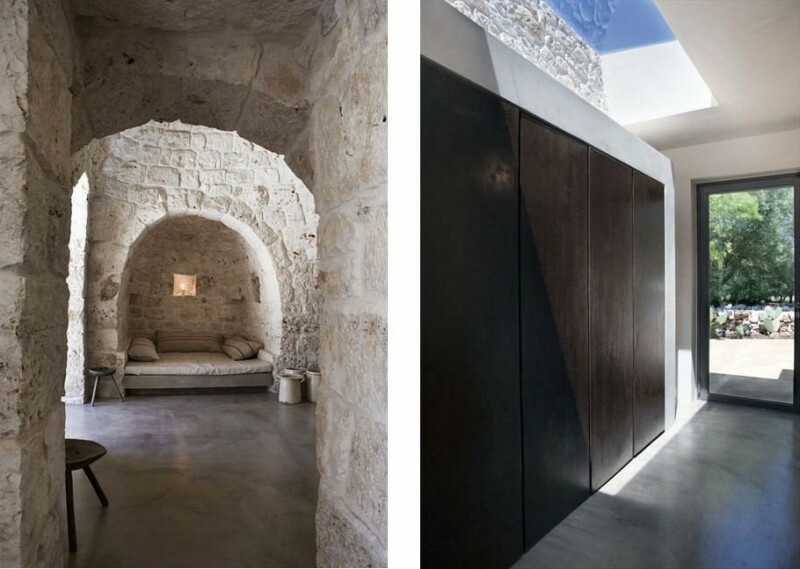 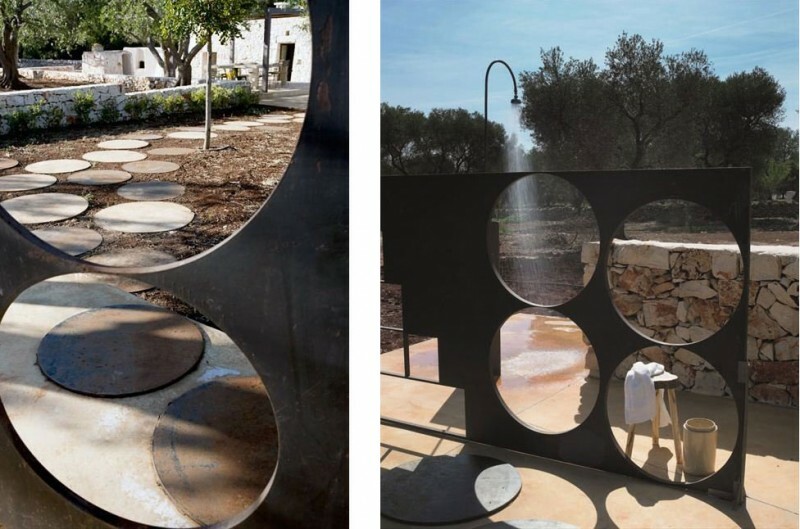 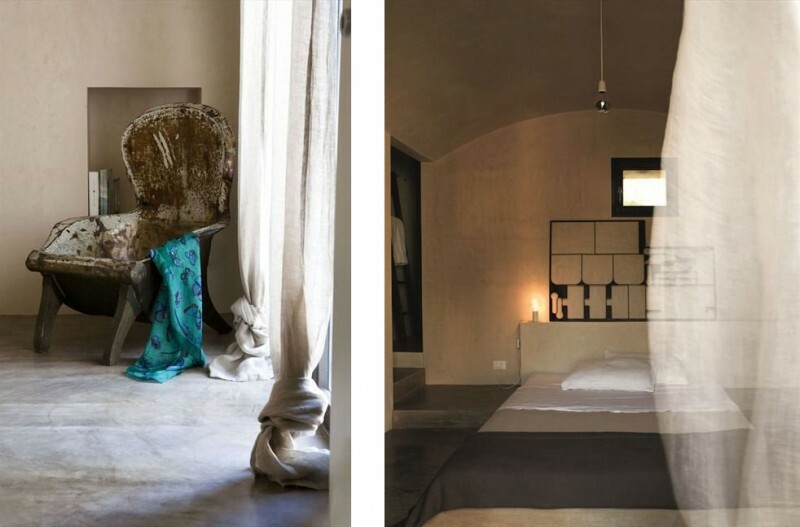 Architect Luca Zanaroli recently designed the renovation of this 'Saracen Trullo' and turned it into a home that blends contemporary and rustic styles. 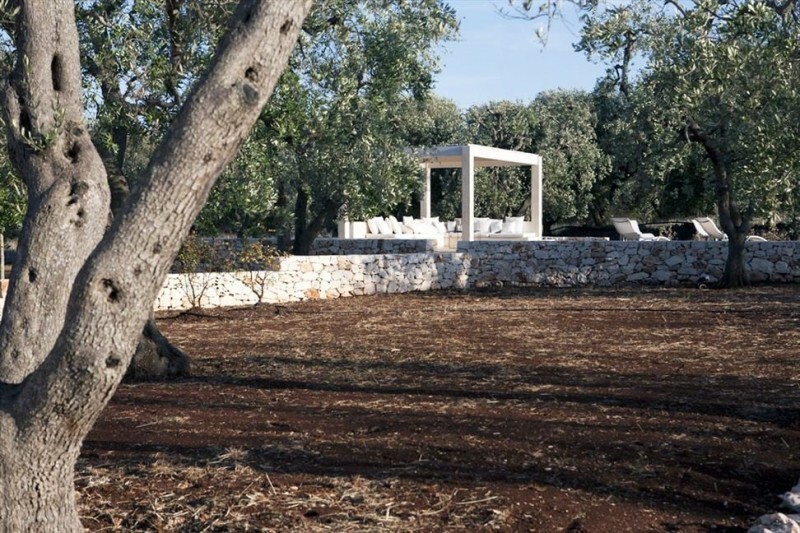 "The client had bought land with olive trees and almond trees, almost at the entrance of the property, a small Saracen trullo (typical rural building in the territory of Ostuni) has been abandoned, with an adjacent structure, a lamia, which remained only part of the perimeter walls. 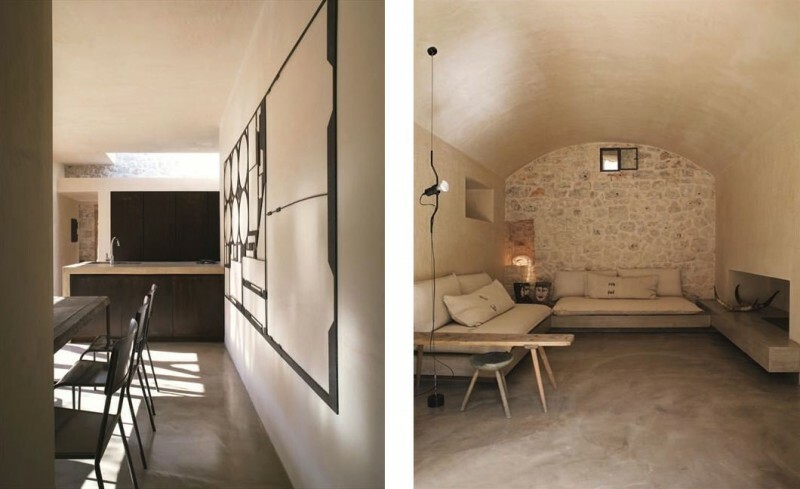 The intention was not only to recover the existing buildings, but also take advantage of the possibility of creating an extension so as to triple the existing surface (originally less than 40 square meters) to establish at least four bedrooms."